How long have you had it? Any wear or dingy spots or still look fresh? I'll offer $200 if still like new. Oh, and as long as the back says "FZ-10", not "MT-10". I'm looking to get $200.00 in my pocket. Shipping is about $25.00. I hope someone see's that this is a fair deal. Bump...good deal. Leave me your zip and I get you a total price. I won't charge more than $215.00 shipped in the USA. I understand. I'll retract my offer so it's not just hanging out there. I'm not saying your deal is unfair by any means, I was just offering what I would've paid for it. I've had my eye on one, but I can get a new one for $270 so personally I think I would prefer to get a new one with that difference. You should be able to sell this though I think. Hi i will buy this today if you still have it. 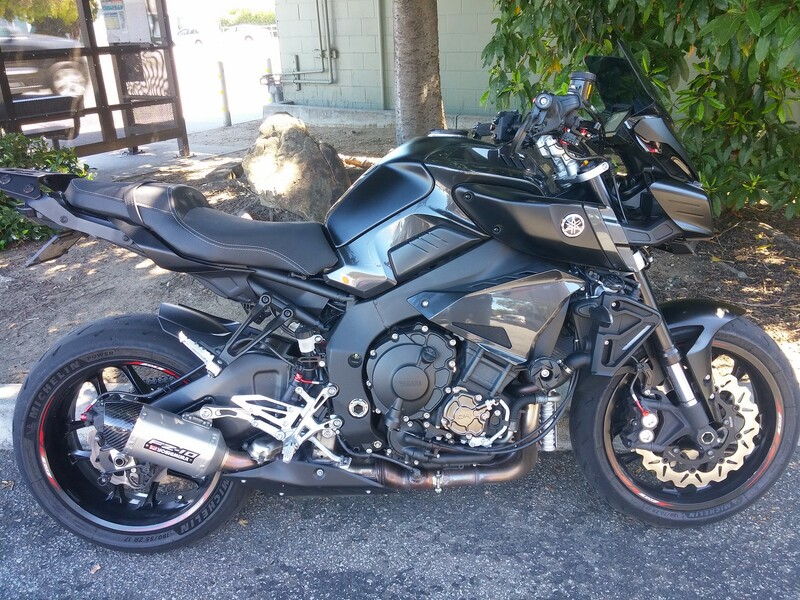 I live in Long Beach as well so if your close I’ll ride over and buy it today. Have you tried sending the guy a pm? No sorry i was under the assumption it would send him an email either way regardless I was hoping to get a seat by Friday for my 4 day weekend so I ordered off of amazon. Lesson learned though thank you.